I'm a 3rd generation lawyer, experienced in both business and law practice - I solve your problems. Suzanne Natbony is an experienced third generation lawyer with a diverse background practicing transactional, regulatory-compliance and dispute resolution law, across multiple business sectors, from startup to acquisition. She has advised physicians, allied health professionals, entertainment talent, architects, business executives, nonprofits and other professionals on a variety of business matters. She is Senior Counsel of the international law firm, Aliant LLP, Of Counsel to Merino Yebri LLP in Century City, serves as General Counsel for Beverly Hills Rejuvenation Center and is Legal Advisor of a startup incubator. She also achieved the… read more Martindale-Hubbell AV Preeminent Rating. "Suzanne is one of the best lawyers around. I met Suzanne while attending USC. She has been one of the best contacts to me over the past few years for business legal advice and correspondence. She is extremely articulate, easy to talk to and very efficient. I couldn't imagine working with anyone else because of the relationship I have with Suzanne, she is always available, will always return my calls, texts emails in a timely manner. Suzanne was incredibly instrumental the past year for me in work, closing out a large severance contract, suzanne saved me not just on a few smaller items, but everything down to where I would have been picking up thousands in taxes for all severances. She also gave me a reduced hourly rate and reduced retainer. I just could never express how much her time was worth in the end. Whether your case is her specialty or not, Suzanne is extremely bright and will work hard for you. Whatever your case, it likely will cost you more in the end than upfront if you use a resource like Suzanne. The next time that I am in a bind, before I sign, I will call Suzanne!" "Suzanne is the best startup and the best business lawyer in Los Angeles! When I was looking for a California small business attorney, I had already spoken to Suzanne as she is a good friend of mine, but I decided to also do a Google search to check on her reviews and see if anyone else might be a good fit since it can be risky to work with your friends. Of course, Suzanne’s law firm website was very impressive and so were her LinkedIn reviews. She also had great reviews on other online lawyer review websites, such as LawTake, which she cofounded, and Avvo. I then reached out to some mutual friends, who were also clients of hers, for a reference and everyone agreed that she is a top lawyer on the Westside for business law. I am very pleased with her representation. She has reviewed and helped me negotiate contracts, advocated on my behalf, advised me about policies and regulations, helped me avoid disputes regarding leases and other contracts and informed me of the legal process. Suzanne is a force to be reckoned with when she has represented me on every legal issue. Further, when she handles disputes, she handles it in the most professional, most amiable way possible to get the best outcome possible for me. She has also referred me to other fantastic attorneys who have obtained satisfactory results when I’ve had legal issues outside of her area of expertise. 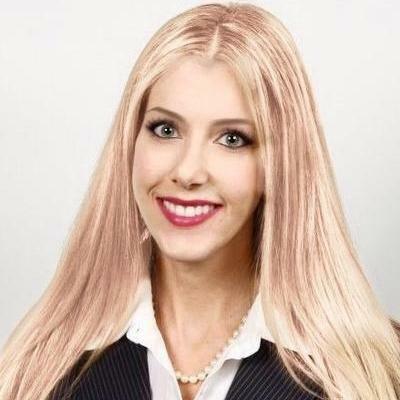 I know I can count on Suzanne for the best healthcare law advice, the best business advice, the best lease advice, the best contract advice, the best dispute avoidance advice and she is the best legal researcher. Suzanne is also extremely resourceful for counsel about personal issues that could erupt into legal disputes. I am very lucky to have Suzanne because she is a good listener and pleasant to work with, on the one hand, but a tough and zealous advocate on the other." Suzanne - SUPER Attorney to the Rescue! Aliant LLP is an international law firm. As senior counsel, I advise physicians, allied health professionals, entertainment talent, architects, business executives, nonprofits and other professionals on a variety of business matters, from California, to Europe, to Asia and Australia. We are problem solvers with our clients' strategic objectives and future development in mind. We counsel clients on business transactions, mindful of the risks and benefits that impact their future growth, enabling executives to run their business. We are experienced in a wide array of legal services to entrepreneurs and emerging businesses, such as entity formation and real estate transactions.